Wayside Vendor Fair, 10 a.m. to 3 p.m., Saturday, March 18 — a fun Saturday of shopping local and small businesses. Proceeds benefit the Wayside Youth Mission Team. Admission is $3/person and there will be free parking. Wayside Youth will provide concessions. Vendors include Pink Zebra, Wildtree, Tastefully Simple, Scentsy, itWorks!, LulaRoe, Thirty One, Xtreme Healthy Living, Tupperware, DoTerra, Plexus, Style Dots, Crafters and more. Worship and Holy Communion services, 8 a.m. and 10:30 a.m., Sundays, at Christ United Methodist Church, 301 Wooster St., Marietta; Pastor Don Archer will be speaking on Matthew 4:1-11, Jesus is Tested in the Wilderness; both services will observe Holy Communion and include children’s sermon and childcare; the 10:30 service also includes an anthem by the Sanctuary Choir and children’s church for elementary age children; for more information, 740.373.1512 or visit www.christumcmarietta.org. Youth group, 5:30 p.m., Sundays, at Christ United Methodist Church, 301 Wooster St., Marietta; all students grades 6-12 are invited for Bible discussion, worship, food, and fun every Sunday at 5:30 p.m.; for more information, 740.373.1512 or visit www.christumcmarietta.org. January worship services, beginning at 10:30 a.m., on Sundays, at Gilman United Methodist Church, 312 Gilman Ave., Marietta. Morning services, 10:30 a.m., every Sunday, at River of Life Assembly of God, 200 Franklin St., Marietta, 10:30 a.m.; children’s ministry, 10:30 a.m.; 740.374.8967. Sunday school, 9:45 a.m., and holiness meeting (worship), 11 a.m., Sundays, The Salvation Army of Marietta, 136 Front St.; 740.373.4043. Sunday School for all ages, 9:15 a.m., at Christ United Methodist Church, 301 Wooster St., Marietta; adults can choose between four adult classes studying various topics; classes are also available by age for high school, middle school, elementary, and preschool; for more information, 740.373.1512 or visit www.christumcmarietta.org. God’s Girls Bible Study, 5 p.m., Sundays, at Christ United Methodist Church, 301 Wooster St., Marietta, a women’s Bible study and discussion group; the current study is War Room, the power of intercessory prayer; for more information, 740.373.1512 or visit www.christumcmarietta.org. Bible study, 7 p.m., Mondays, at St. Luke’s Lutheran Church, 401 Scammel St., Marietta; meets in the fellowship hall; everyone welcome; 740.373.1716. 13 weekly GriefShare seminars, began Tuesday, Feb. 21, from 9:30 to 11:30 a.m. in the parish hall (social room) of St. Paul’s Evangelical Church, 401 Fifth St., Marietta; the materials specifically address topics and issues for those who are grieving the death of a loved one; content is Christ-centered, biblical, and non-denominational; presented three phased: Video seminar, group discussion and personal workbook; pre-registration is recommended, however an “open door” policy is honored; you may participate at any time during the 13 weeks; for more information and pre-registration: 740.585.2087 or 740.336.9749. Community Ukulele Choir Rehearsal, 7 p.m., Tuesdays, at Christ United Methodist Church, 301 Wooster St., Marietta; all experience levels are welcome, ages fourth grade through senior citizen; for more information, 740.373.1512 or visit www.christumcmarietta.org. Bible study, 9:30 a.m., Tuesday mornings, at St. Luke’s Lutheran Church, 401 Scammel St., Marietta, in fellowship hall; everyone welcome; 740.373.1716. Bible study, 7 p.m., Tuesdays, The Salvation Army of Marietta, 136 Front St.; Home League (women’s fellowship), 6 p.m. Tuesdays; and Men’s Club (men’s fellowship), 6 p.m., Tuesdays; 740.373.4043. Awana program at Twin Rivers Baptist Church, 110 D.A.V. Road, Whipple (300 yards north of Exit 6 off Interstate 77) — classes are held from 7 to 8:20 p.m. each Wednesday from September through May, throughout the school year, for boys and girls through the sixth grade; each evening’s session includes lesson time, Bible verse memorization, snacks and games; Awana classes are conducted for “Cubbies,” for preschoolers; “Sparks,” for children in kindergarten through the second grade; and “Truth & Training,” for students in third through sixth grades; a bus route is available to pick up boys and girls for the Awana program; for more information, 740.376.0440. Teen class, for students in grades seven through 12, and an adult Bible class, 7 p.m., each Wednesday, at Twin Rivers Baptist Church, 110 D.A.V. Road, Whipple; for more information, 740.376.0440. Holy communion service, noon, Wednesdays, Christ United Methodist Church, 301 Wooster St., Marietta; for more information, 740.373.1512; during inclement weather, service will be cancelled if Marietta City Schools are closed. W.O.W. (Women of the Word), ladies bible study, 7 p.m., Wednesdays, at First Church of the Nazarene, 100 Mill Creek Road, Marietta; starting in September, a new study with the book “Ruth”; call the church and order a book to participate; all women welcome, 740.373.5406 or e-mail mfcofnaz@sbcglobal.net. Children’s Department at Marietta First Church of the Nazarene, at 100 Mill Creek Road, meets at 7 p.m. each Wednesday for bible story, games/craft, and snacks; children ages 3 years old through the sixth grade welcome to join; nursery provided for children up to 3 years of age for those attending a bible study or service; for more information, Judy Phillips at 740.373.5406 or e-mail mfckids@sbcglobal.net. Bible study, 2 p.m., Wednesdays, at River of Life Assembly of God, 200 Franklin St., Marietta; 740.374.8967. Lenten Brown Bag Book Study: Creed — What Christians Believe and Why, by Adam Hamilton, a six-week study of the Apostles Creed and the Scriptures on which they are based. Held Thursdays at the lunch hour, noon to 1 p.m., March 2 through April 6, at Christ United Methodist Church, 301 Wooster St., Marietta; all are welcome to bring their lunch and join in the discussions; books are available through the church office for $13; for more information, 740.373.1512 or visit www.christumcmarietta.org. Three Lenten Bible Studies on “The Screwtape Letters,” written by C. S. Lewis, from Jan. 26 through April 6 (12 weeks), from 3 to 4:30 p.m., in the fellowship hall at Gilman United Methodist Church, 312 Gilman Ave.; led by Judy Spahr and Pastor Diann; cost is $10 for the book; sign-up will be through Jan. 15 at the church or call 740.373.6478. GriefShare, help and encouragement after the death of a loved one; GriefShare is a special weekly seminar and support group designed to help rebuild lives; facilitators, Anita White, Lucy Scott and Vivian Brown; 740.373.8643 or email: shoeboxlady@suddenlink.net; 12:30 p.m. to 2 p.m., Thursdays from Feb. 16 to May 11, at Gilman United Methodist Church (fellowship hall), 312 Gilman Ave., Marietta. Bible study, 7 p.m., Thursdays, at River of Life Assembly of God, 200 Franklin St., Marietta; 740.374.8967. – 5 to 6 p.m. (instead of until 6:30 p.m.), second Thursday of each month, at Tunnel United Methodist Church, located at Ohio 550 and Coffman Road; next meal (barbecued pulled pork) is Thursday, March 9; handicapped parking is available in the upper parking lot by the church entrance; to request to have a meal delivered within a five-mile radius, leave a message at 740.374.5634. – Free community meal, 11:30 a.m. to 1 p.m., first Friday of each month, at Christ United Methodist Church, 301 Wooster St., Marietta; free home-cooked meal served in fellowship hall; all are welcome; no charge, donations accepted; for more information, go to www.christumcmarietta.org or call 740.373.1512. – 5 to 6:30 p.m., second Friday of each month, at The First Unitarian Universalist Church, 232 Third St.; everyone welcome; fellowship hall is accessible and meals offer a variety of healthy choices; for more information, 740.373.1238. – “Caring and Sharing Free Community Lunch,” 11 a.m. to 12:30 p.m., second Saturday of every month, at First Baptist Church, 301 Fourth St., Marietta, in the church dining hall; all are welcome for food and fellowship. 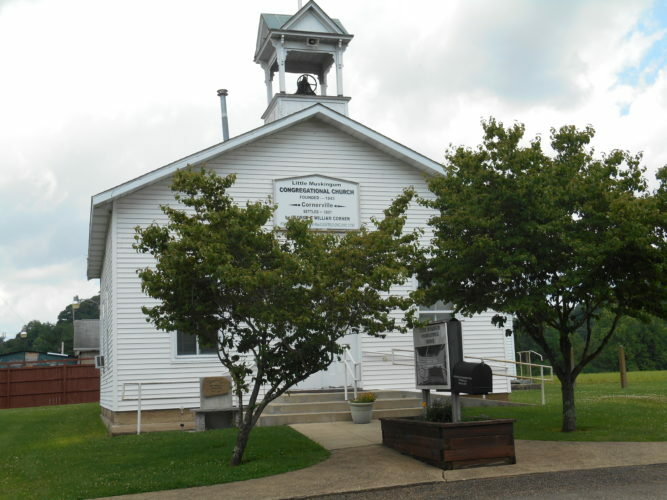 – 11:30 a.m. to 1 p.m., Saturday, Feb. 25, at Beverly United Methodist Church, 700 Park St., Beverly; church is handicapped accessible; this month the meal will be prepared by Chef Andrew from the Wyngate Senior Living Community in Vienna, W.Va.; menu is grilled chicken pasta, spring green salad with homemade dressing, breadsticks, desserts from Lisa’s Sweet Stop and a beverage; carryout is available by calling 740-984-2100. The Saint Vincent de Paul Society accepts donations of clean, used furniture or bedding. They also accept used appliances in good working order. These items are given free to families in need. Call their helpline at 740.376.1334 and a member will meet you at their storage bin or pick up the items at your home. The Religion calendar appears each Saturday on the Focus on Faith page. Information to appear in the Religion calendar can be e-mailed to cheiby@mariettatimes.com; submitted through the Virtual Newsroom at The Times’ website, www.MariettaTimes.com (click on “Submit News”); mailed to The Marietta Times, 700 Channel Lane, Marietta, Ohio, 45750, Attention: Claire Heiby; or faxed to 740-376-5475. For questions, call Heiby at 740.373.2121, ext. 537. Deadline for information to be received is noon Monday for that Saturday’s edition.